Jim’s notorious baby pictures dressed as a girl. Jim graduated from Reitz High School in 1942. 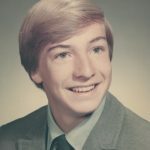 Rolland Eckels, a classmate in Jim’s high school homeroom, remarked that he clearly remembers Jim being one of the shortest students in the class his freshman and sophomore year, yet by the time he left the Air Force at the age of 21, Jim was 6 feet tall and weighed 146 pounds. Thus, for his generation, Jim had grown to be a tall and skinny man. 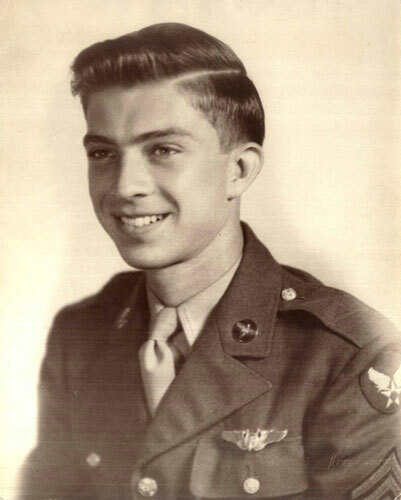 Jim entered military service on 27 November 1943 at the age of eighteen. He was a Sergeant with the 24th Combat Mapping Squadron of the Thirteenth Air Force Base Unit, stationed in Karachi, India. Jim stated that his crew had flunked out of bombardment training so they were sent to Oklahoma City for training before taking off to India. Their plane, called the “Nosie Rosie,” was an F-7A, a variant of the four engine B-24 Liberator. The B-24 is the most produced U.S. military aircraft in history. Pictures of the Nosie Rosie are available here and here. 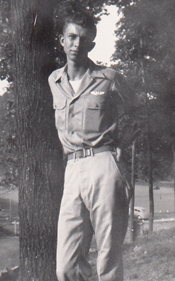 Jim early in his military career. 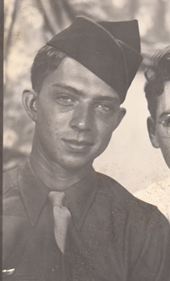 Jim in 1944 while in the military. Jim on 13 September 1944. After serving roughly 13 months in the States, and 15 months overseas, Jim was discharged on 17 April 1946. He received the Asiatic-Pacific and American Theater ribbons, three bronze stars, and the Victory medal. Throughout his life Jim kept meticulous records and statistics, whether it be for his personal life or his favorite sports teams. The War was no exception, of course, and he kept a detailed diary of his time in the military. The diary was transcribed by his daughter Jennie; click here to read book one covering 6 Dec. 1943 – 31 Dec. 1944 (pdf) and click here to read book two covering 1 Jan. 1945 – 28 March 1946 (pdf). Click here for his Veterans History Project interview and related details. After the War Jim immersed himself in the westside community of Evansville, Indiana, and increased his involvement at Howell United Methodist Church. Growing up Jim never particularly cared for church, but upon returning from the War he discovered that he missed it. “It made a … I feel like … a profound change in my life. I didn’t want to miss the activities, or the interaction, between the people and the neighbors and the relatives that I met at church. It was kind of like a huge extended family.” Along with Jim’s immediate family, a number of other Claybourns attended Howell. 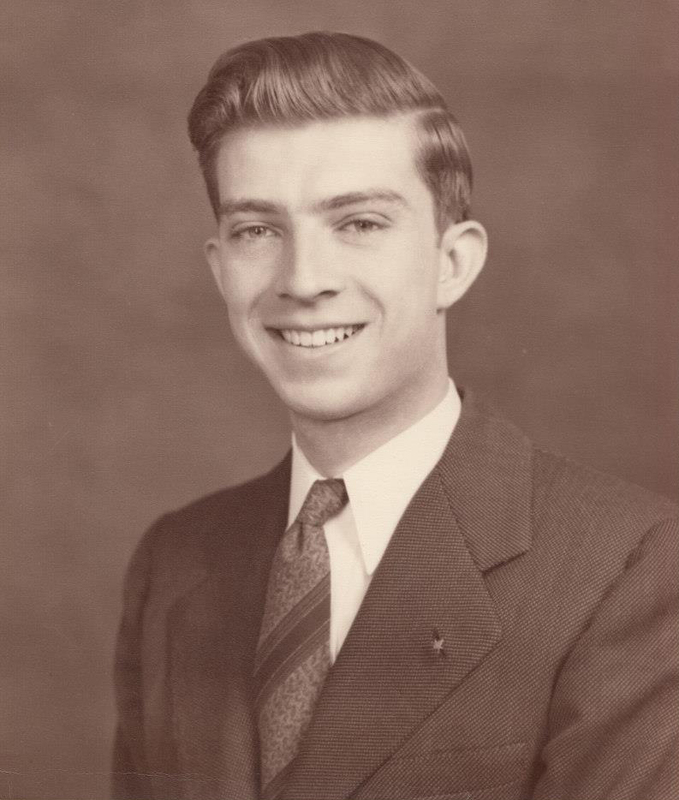 Jim would carry on the tradition and served on the church’s Board of Trustees, taught Sunday School, sang in the choir, was President of the Methodist Men’s Club, sponsored Methodist Youth Fellowship, and coached the church basketball team. Soon after returning home from the War Jim also continued another tradition begun by his father and brother by joining Reed Lodge No. 316 of Free & Accepted Masons. He was initiated on 18 Dec. 1946, passed on 3 Feb. 1947 and raised on 12 April 1947. He remained an active member of the lodge his entire adult life, serving as Worshipful Master in 1980 and Treasurer from 1983-1998. The lodge meant so much to him that when his son and grandson also joined the same lodge many years later, he had to fight back tears of joy. 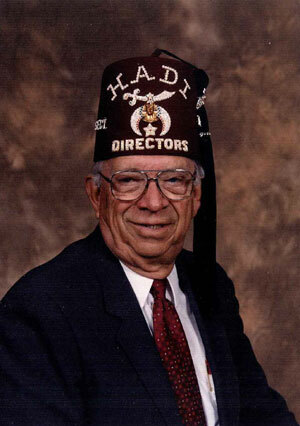 Jim was also heavily involved in a related organization called the Hadi Shrine Temple. Each year the Shriners produced a circus in Evansville, and Jim would frequently assist and/or lead such undertakings. Jim, Betty Jean, and their three children on 25 December 1960. In 1946, the same year that saw Jim deepen his roots at Howell UMC, Evansville’s westside, and the Masonic Lodge, Jim met his future wife, Betty Jean Morrow. [Betty Morrow was born on 7 August 1931 in Hammond, Indiana, to William Samuel Morrow and Lilyan Mable Wheeler. Bill would go on to marry (2nd) Clarice Elizabeth Eakins on 8 April 1939. Betty was close with both women, which may be apparent by the name she attached to each. She called her biological mother “mother,” and her step-mother “mom.” Betty’s story is presented in greater detail in The Life and Ancestry of Betty Jean Morrow.] The two met while attending a dance at the Eagle’s Nest in downtown Evansville (a building now occupied by his grandson’s law firm). Jim had come with another date, and Betty with her father and step-mother. At the time Betty was only a junior at Reitz H.S. and Jim was six years her senior. Although her parents had concerns over the difference in age, they decided they had little power to stop it, and so they consented to the couple dating. Roughly two years later they married on 14 October 1948 at Bethlehem Evangelical and Reformed Church (now Bethlehem United Church of Christ). 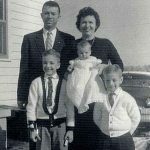 Growing up with divorced parents, Betty grew close to her older brother Billy and the two siblings frequently shuttled back and forth between Evansville (with her father) and Michigan (with her mother). Betty also felt her mother’s propensity for wild behavior required early maturing on Betty’s and Billy’s part. Nevertheless, Betty retained a playful, fun nature about her throughout her life. After her marriage to Jim, Betty worked as a secretary, office manager, and then spent nearly twenty years in insurance industry. Jim and Betty would remain married for over twenty years and had three children together, all listed below. But eventually their relationship soured. As Jim would often put it, “we were married for twenty years, and happily married for eighteen.” Betty put it this way: “I know I needed a lot of attention. It seemed like he always had projects . . . and I was very needy. I think growing up in a divorced family you feel like you need attention. I just felt like he didn’t pay enough attention to me.” They divorced in 1969. [On 4 June 1970 Betty married Joseph Adam Goelz Jr. (born in about 1925) of Boonville, Indiana. Betty felt that her second husband Joe had a hard time relating to her children, and they to him. He experienced a nervous breakdown following a previous marriage and consequently had difficulty with relationships. She lamented, “My kids were good kids, but he wanted to be a disciplinarian.” This ultimately drove a wedge between him and Betty. She filed for divorce in about 1976.] In an interview in 2009, Betty tearfully noted, “Looking back, the divorce was wrong. Jim was a good guy.” At the time Jim was taking night classes at Evansville College (now the University of Evansville) and making progress toward a degree. Following the divorce his interest in the degree dissipated and he eventually dropped out. When reflecting back on his life, Jim often remarked that failing to prepare for college was one of his biggest regrets. Jim in July of 1992. 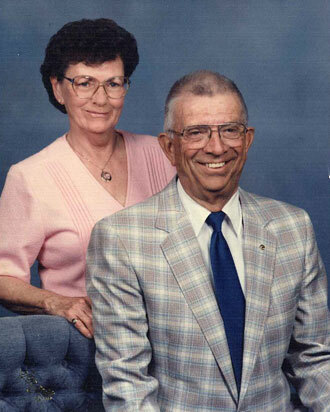 Jim and Betty Lou, June of 1992. On 11 June 1971, Jim married (2nd) Betty Lou (Alvey) Ricketts. Unknown to anyone else, the two had actually wed in secret several months before in Shawneetown, Illinois. They wanted to live together before their wedding date, and though no one would’ve known of their cohabitation before the June 11th wedding, Jim, always one to play by the rules, made sure they were legally married before doing so. Betty Lou was born on 30 December 1929 in Evansville, Indiana and worked for Indiana Bell for much of her life. Some time after going to work for Shawnee Plastics the company moved to Kuttawa, Kentucky, which Jim regarded as “the pits of the universe to me at that time.” Thus he left Shawnee Plastics and took a job with National Furniture as personnel manager, and once that company left town he sold insurance for a short while. After that Jim went to work for Reis Tire, remaining there until his retirement. On 5 April 2000, Jim married (3rd) Nema Lou (Dicken) Haun, who was born on 18 June 1930 in Clinton, Indiana. Nema was a Methodist, a Republican and a Purdue fan. Jim, a lifelong Indiana Univ. fan, noted, “Two out of three ain’t bad.” Nema’s grace and tender care helped comfort him through his battles with cancer which ultimately claimed his life on 3 November 2004. Thereafter Nema moved back north to a suburb of Indianapolis to live with her twin sister Norma. As I made my way down the stairs to the gym floor, during an all-school assembly my senior year, I noticed, just before everyone else, that my coach had invited my parents and Grandpa to be there with me to receive the Kiwanis Award. I know that I saw my family just before the rest of the school, because two seconds after Grandpa was visible, ambling slowly but confidently out of the tunnel onto the gym floor, the shouting started. “Hey, Grandpa!” “Grandpa’s here!” and other cheers were heard from many throughout the students until Grandpa acknowledged his adoring public by simply raising his right hand. At this point the place erupted. Teenagers were standing, clapping, and yelling for him. After a bit, when the loudest cheers died down, a smaller group started chanting, “Grandpa Claybourn, clap, clap, clap-clap-clap…” This spread throughout the student body, until everyone, nearly 2,000 kids, were involved. Grandpa continued on his way and took his seat near the podium at center court. The athletic director approached the podium and prepared to address the students, but it was still too loud. He motioned with his hands for everyone to calm down, but it only got louder. After a few more seconds, Grandpa used the same motion and the crowd reluctantly obeyed. After the assembly I jokingly said to him, “It looks like you stole a little of my thunder.” His expression, which so often conveyed more than his words, evolved from one of agreement to one of insincere apology. We both laughed. Jim relished his role as, in his words, the family’s “aging patriarch with a few screws loose.” An old classmate of Jim’s described him this way: “He liked to argue just for the hell of it, but always in a good-natured, light-hearted way that immediately made you smile.” At his funeral the Reitz fight song was played, and as his hearse made its way to his final resting place at Memorial Park Mausoleum, it made one final lap around the Reitz High School grounds and Helfrich Golf Course. Fiercely loyal to the end, Jim would have it no other way. James William Claybourn (“Jim”) was born on 24 May 1952 in Evansville, Indiana. He graduated from F.J. Reitz High School in 1970. 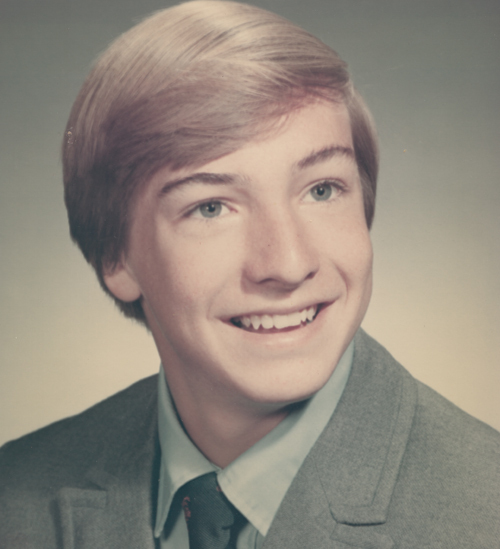 As a junior, he began dating Carol Ann Parker. [Carol Parker was born on 11 June 1952 to Edgar Rudolph Parker and Margie Corine Hardy.] They married on 1 June 1974 at St. Paul’s Lutheran Church in Evansville. Carol was attracted to Jimmy due to his intellect and great sense of humor. As their lives progressed she loved him even more for his great love of The Lord and their two boys. Jim attended Wabash College from 1970 to 1972, Indiana University from 1972 to 1973, and after a five year working stint, he returned to school at the University of Southern Indiana (“USI”), graduating in 1983. In 1973 he began working at Arkla. In 1975 he started at Auto & Electric Service. In 1978 he began working at Midwest Equipment & Supply Co. Inc., a wholesale supplier to commercial outdoor power equipment retailers. He remained with the company his entire career until retiring in September 2017. After graduating from Reitz, Carol graduated from the University of Southern Indiana and worked as a licensed dental hygienist with Dr. Robert E. Shellenberger and Dr. Clarence J. Smith until they retired and thereafter with other dentists until her own retirement in December 2018. After living in apartments on Evansville’s west side, they purchased their first home at 3908 West Maryland St in 1976. They moved to 11701 Darmstadt Rd in 1978, where both of their sons first lived. With Carol working on the west side, and Jim returning to school at USI, they decided to return to their west side roots. In 1983 the family moved to 513 Coffeetree Lane near USI, and would remain in the home for most of their lives. 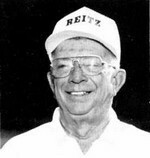 As with Jim’s father, they were an integral part of the west side community and continued supporting the F.J. Reitz H.S. football team even after their children had grown and no longer played. After they married, Jim and Carol were faithful members of St. Paul’s Lutheran Church, a congregation of the Lutheran Church-Missouri Synod. Both served in leadership and teaching positions. Carol served on the Evansville Lutheran School board and a scholarship committee for many years. Jim served as president of the church council on several occasions. Together they had two sons, listed below, and passionately supported their many academic and athletic activities. Jim coached youth sports for many years and served as a coach and commissioner for the Lakeview Optimist Basketball Organization for nearly twenty years. After both sons married, Jim was involved with Big Brothers-Big Sisters for many years and the couple served as a host family for several Chinese students at USI. Carol had a special group of friends that maintained their relationship since high school, affectionately known as the Pigs, due to their monthly dinners. The two also enjoyed cultural events, dancing, sports, wine, and spending time with friends, especially a close knit church home Bible study group. J.P. taught Latin and U.S. government in the ICE Academy (Imagine, Create, and Express) at Decatur Central High School in Indianapolis, Indiana. He also coached girls soccer teams, an academic team, and was assistant wrestling coach. 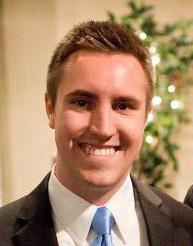 In August 2014 J.P. took the position of assistant principal at Stony Brook Middle School in the Warren Central School District in Indianapolis. He was an avid sports fan, especially of AS Roma, both the US and Italian National Teams, Cincinnati Reds, Indianapolis Colts, Indiana Pacers, and Indiana Hoosiers. Brian Kent Claybourn was born on 21 October 1981 in Evansville, Indiana. At F.J. Reitz High School he was a three sport athlete in football, basketball, and soccer. He grew up playing basketball as well as soccer before focusing primarily on football. “My whole high school career up to the middle of my junior season was focused on basketball. Football was something on the side that I could do just because I had a good leg and always played soccer,” he said. As a junior at Reitz he was voted all-conference and all-metro punter and his senior year he was named all-state, all-area, all-metro, all-conference and all-city as a punter, averaging 37 yards per kick with nine downed inside the 10-yard line. Like his grandfather, Brian was elected to the Reitz High School Hall of Fame. After being wooed with football scholarships from numerous Division I colleges, Brian chose to play for Western Kentucky University (“WKU”). As a senior at WKU he posted the best single-season punting performance in school history with a 43.4 yard average, making him one of the nation’s leading kickers. He finished his career second all-time at WKU with 9,237 yards, 226 punts, and an average of 40.87 yards per kick. As a team captain he helped lead the team to a Division I-AA national championship in 2003 and an 11th ranking in the 2004 final national polls. Off the field Brian graduated from WKU in 2004 and earned a marketing and sales degree. He signed a contract with the NFL San Diego Chargers and played during the 2005 pre-season. Later he played briefly with the Canadian Football League. On 24 September 2010 Brian married Keri Renee Wilkie. [Keri Wilkie was born on 25 July 1980 to Greg Wilke and Deb (Titzer) Wilke Gries.] She graduated from Evansville Central High School in 1999. Thereafter she earned an undergraduate and master’s degree from St. Louis University in physical therapy and later earned a doctorate in the same field. At the age of 26 she was diagnosed with breast cancer but with radiation and medicine the cancer went into remission. Keri continued working as a physical therapist and was involved in several breast cancer support groups. From 2008 to 2014 Brian worked at C.H. 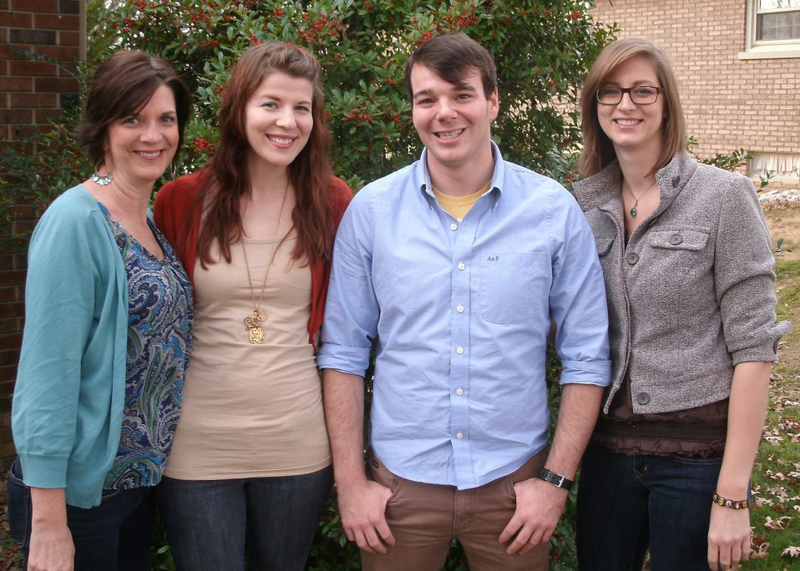 Robinson, and then in 2014 began working for Heritage Petroleum as a sales representative. Around this time the couple also moved to neighboring Posey County, Indiana. Parker Victor Dale Claybourn (“Parks”) was born on 11 November 2015. Pierce Frederick Claybourn was born on 24 April 2018. Douglas Frederick Claybourn (“Doug”) was born on 16 July 1954 in Evansville, Indiana. He attended Rheinlander School, Tekoppel School, and then F.J. Reitz High School. [Doug Claybourn attended Rheinlander School for kindergarten through first grade, from September 1959 through June 1961. The school was then closed and all students were moved to Tekoppel School, where he attended second through eighth grades from September 1962 through June 1968.] Doug participated on the school’s football and golf teams and school newspaper. He graduated in June 1972. He enrolled at Indiana State University Evansville (later the University of Southern Indiana) in August 1972 and graduated with a bachelor’s degree in communication in May 1977. While in school, on 26 July 1975, Doug married Michele Diane Tooley. [Michele Tooley was born on 24 December 1954 to Wilfred Andrew Tooley (19 May 1928 – 30 March 1981) and Dora Bonsaver (born 6 Dec. 1930 in Zurich, Switzerland). Michelle’s story is presented in greater detail in The Life and Ancestry of Michele Diane Tooley.] Known as “Mitzi” to her friends and close relatives, Michele was a fun and outgoing person. 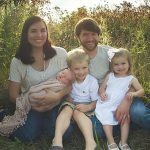 As one friend said, “she was full of life.” Having children and being a mother was Michele’s primary ambition and purpose in life, and together she and Doug had three children, listed below. Despite the caring, loving environment Michele fostered in her home, she struggled with a number of demons including alcoholism. Such issues impacted their marriage. Doug and Michele divorced in October 1999 and Michele died some years later on 14 August 2004. From August 1972 to September 1976, during college, Doug worked for the local Sunday Courier & Press newspaper, as well as the campus newspaper called The Shield, but then switched to television news as a sports reporter/weekend anchor for WEHT-TV Channel 25, working there from October of 1976 through October 1980. Several of Doug’s news and sports stories won statewide awards, and several of his packaged news and sports stories were picked and aired by the network during the CBS Evening News or CBS Morning News. Thereafter he worked for USI for three years as a sports information director and career placement director. During this time at USI he also pursued a masters degree in public administration for advancement within the school. He completed about half of the required courses before moving on to other employment. In October 1983 Doug went to work with Citizens National Bank (purchased by Fifth Third Bank in 1999) and remained with the company until 2012. His job roles included advertising manager (1983-1986), branch manager (1986-1989), commercial loan officer (1989-1991), business development officer (1991-1993), mortgage lending originator and manager (1993-2007) and private banker / wealth management advisor (2007-2012). 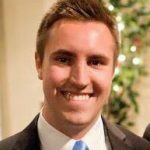 In 2013 he began working as a business advisor with the Indiana Small Business Development Center. On 4 November 2000 Doug married Christi Arienne Cline. [Christi Cline was born on 10 July 1967 to Bruce R. Cline and Cynthia Ann Rudolph. Bruce was born on 16 December 1945 and Cynthia was born on 22 March 1948. Bruce and Cynthia divorced, and Bruce later married Ruth A. Cline (born 13 May 1945).] Christi graduated from Harrison High School in Evansville in 1985 and attended USI majoring in business administration with an emphasis in finance. 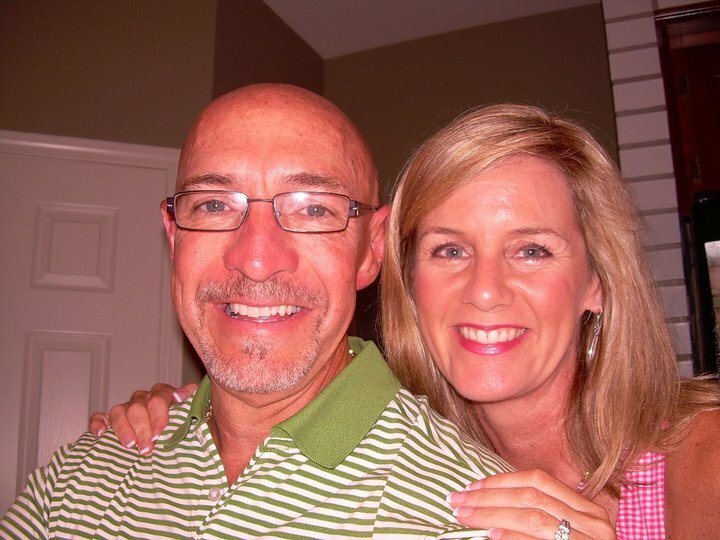 They were both active and involved members of their church, Crossroads Christian Church. They helped to lead their small group on occasion, sang in the choir for many years, and served on several mission teams, most notably to Bethlehem and the West Bank in Palestine. 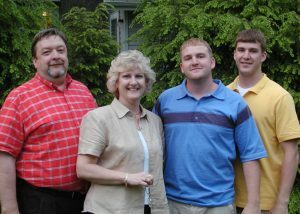 Doug was also an avid golfer, playing frequently and serving as president and board member of the Fendrich Men’s Club. He also stayed active with USI through the athletic board and alumni association. Joshua Andrew Claybourn was born on 10 June 1981 in Evansville, Indiana. His personal website is available here. He graduated from North High School (1999), Indiana University Kelley School of Business (2003), and Indiana University McKinney School of Law (2006). After law school Joshua practiced first with a law firm, Rudolph, Fine, Porter & Johnson (2006-2009), and then as corporate counsel at Vectren Corporation (2009-2015) before re-joining his firm in 2015, which by then had merged with Jackson Kelly PLLC. On 22 June 2013 Joshua married Allyson Elizabeth Shelby. [Allyson Shelby was born on 13 August 1983 to Vicky and Jesse Shelby of Newburgh, Indiana.] She graduated from Castle High School (2001), Indiana University (2005), and Vanderbilt University School of Law (2010). Thereafter she clerked with the Hon. Richard Young, Chief Judge of the U.S. District Court for the Southern District of Indiana. She then worked briefly with a law firm before joining Berry Global as associate general counsel in 2013. Both Joshua and Allyson were active in the community. Joshua helped lead and support various civic entities, political campaigns, and non-profit history organizations. His interest in history focused in particular on genealogy and the American Civil War. Allyson was heavily involved with local and regional theatre and music groups, as well as with the local and state bar associations. They were active members of their church and lived in downtown Newburgh, Indiana. Prudence Shelby Claybourn was born on 8 April 2015 in Warrick County, Indiana. James Paul Claybourn was born on 19 February 2017 in Warrick County, Indiana. Kelli Michele Claybourn was born on 17 April 1986 in Evansville, Indiana. Kelli married on 30 August 2008 to her husband Tony. [Anthony R. Zabel was born on 18 September 1985 to Terry and Linda Zabel in East Grand Rapids, Michigan.] They had three children, listed below. Rowan Anthony Zabel was born on 11 October 2009. Louisa Michele Zabel was born on 5 June 2012. 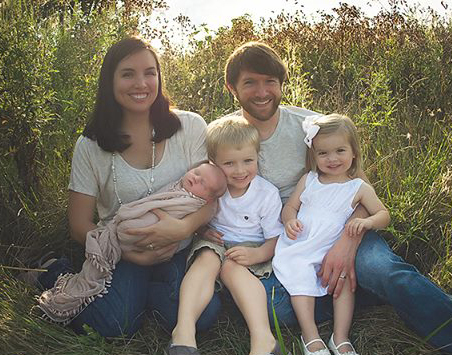 Mary Grace Zabel was born on 13 August 2014. August Charles Zabel was born on 5 March 2017. Jennie Lou Claybourn was born on 10 August 1960 in Evansville, Indiana. She was named after her paternal grandmother Jennie Mae Claybourn. She graduated from F.J. Reitz High School in 1978 and later attended the University of Southern Indiana. On 13 February 1982 Jennie married Anthony (“Tony”) Kohut. [Tony Kohut was born on 4 July 1948 to Andrew Kohut and Marie Deom.] They had two children, Betsy and Jamie, listed below. Jennie and Tony divorced and on 1 May 1988 Jennie married David Nylen Jackson [David Jackson was born on 19 June 1962 to William Jackson and Anita Ziegler.] and together they had a son, Matthew, listed below. With David’s work in the Navy they moved to Pass Christian, Mississippi (1988), Orange Park, Florida (1991), Long Beach, Mississippi (1995), and Niceville, Florida (2005). After David’s discharge from the military they moved back to Evansville. The two divorced on 23 February 2009. Jennie married Chris Jolly on 18 May 2018; they graduated from the same class at Reitz and reconnected 39 years later. 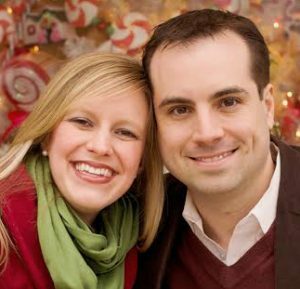 Like her brothers and parents, Jennie was a passionate believer in Christ and was an active member of churches wherever she lived. As her mother aged and was stricken with dementia or Alzheimer’s, Jennie was a strong supporter and caretaker. She was also a firm and steadfast rock of support to her three children. Betsy Marie Kohut was born on 1 June 1983 in Evansville, Indiana, to Jennie and Anthony Kohut. She was named Betsy in homage to her grandmother Betty. In 2005 she graduated from Millsaps College with a bachelor of science in womens and gender studies and sociology/anthropology. Thereafter she attended the University at Albany, SUNY and earned a master of arts in anthropology. Jamie Lynn Kohut was born on 25 May 1985 in Evansville, Indiana, to Jennie and Anthony Kohut. She was named Jamie in homage to her grandfather James. She graduated from Long Beach Senior High School in 2003. In 2008 she graduated from the University of Southern Mississippi with degrees in mass communication and journalism and fashion merchandising & design. In 2010 she gave birth to Lilyana, listed below. On 26 May 2012 she married Joshua Brewer. [Joshua Brewer was born on 17 May 1985 in Michigan to Rich Brewer and Kelley Piper.] Joshua graduated from Grand Valley State University in 2007 with degrees in criminal justice and sociology. He joined the Evansville Police Department in 2013. Lilyana Claire Trinoskey was born to Jamie Kohut and Gavin Trinoskey [Gavin Trinoskey was born on 14 November 1977 to Chuck Trinosky and Lynn Blomseth.] on 23 June 2010 in Newburgh, Indiana. Her name was derived from Lilyan and Clarice, both great-grandmothers. Violet Maybelle Brewer was born to Jamie and Joshua Brewer on 6 September 2014 in Evansville, Indiana. Matthew Nylen Jackson was born on 6 February 1989 at Keesler Air Force Base in Biloxi, Misssissippi, to Jennie and David Jackson. On 7 August 2009 he married Cara Cartwright. From 2009 to 2012 he served in the U.S. Army working with the Abrams Tank.